Memup Kult 120GB SSD with USB 3.0 is an external SSD drive and offers maximum speeds of 184 MB / s read and 126 MB / s write. In Sata III flows reach 490 MB / s read and 322 MB / s write. The Kult SSD is fast for both internally and externally. 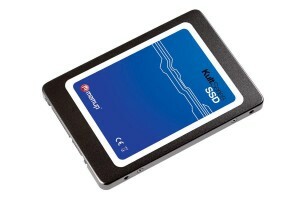 The Memup Kult 120GB SSD offers speeds of 490 MB / s read and 322 MB / s write. It comes with a USB 3.0, but without software. Memup renews its range of Kult SSD (Solid State Drive) with three new models Sata III 64 GB, 128 GB and 256 GB SSD. These are sold only at the respective prices of approximately 80, 150 and 300 euros. But the Memup also offers a USB 3.0 adapter for 10 euros more. And here we have brought you the review of model Memup Kult 120GB SSD. 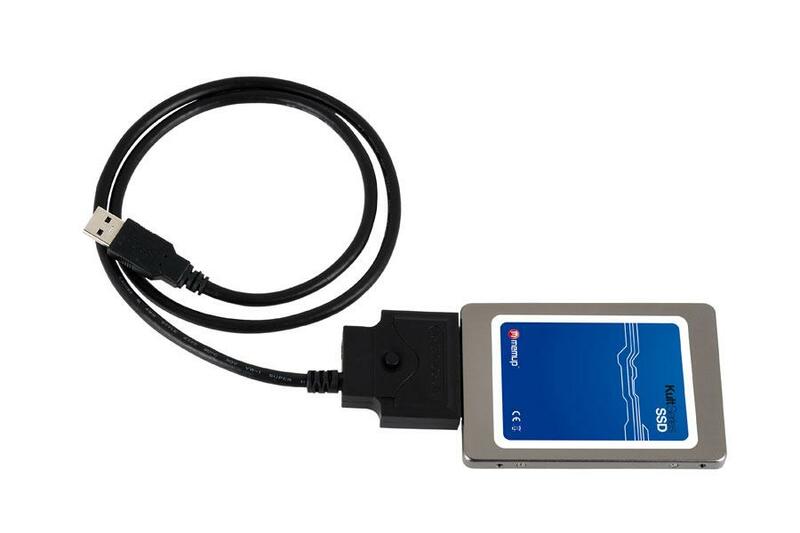 The USB 3.0 connects easily to the SSD and has a cable of 70 cm, and two LEDs visible activity (power and USB activity). It easily converts the SSD external drive. The Kult SSD then reaches speeds of about 184 MB / s read and 126 MB / s write for large files, such as DivX. It is significantly faster than the best external hard drives that reach about 115 MB / s read and write. You can also use a traditional 2.5-inch hard drive. The manufacturer only offers a storage space of 2 GB free on the Internet for a year. If you install the Memup Kult 120GB SSD in your laptop or your desktop machine, proved excellent rates with SATA III interface. For larger files, speeds reach 490 MB / s read and 322 MB / s write. For small files, the SSD offers good rates read (286 MB / s), but lacks a bit of velocity in write (115 MB / s). The Kult SSD is generally faster than the Crucial m4 and almost as swift as the Samsung SSD 830. Finally, note that the body is only 7 mm thick, which allows it to be installed in a laptop ultrafine. The Memup Kult 120GB SSD is a bit expensive, but the price is justified by the USB 3.0 adapter. Memup disappoint because it does not deliver any software. If you do not buy the adapter then Mumup SSD is less interesting than the OCZ Vertex 4 which is cheaper. This was all regarding the Memup Kult 120GB SSD review and its performance.